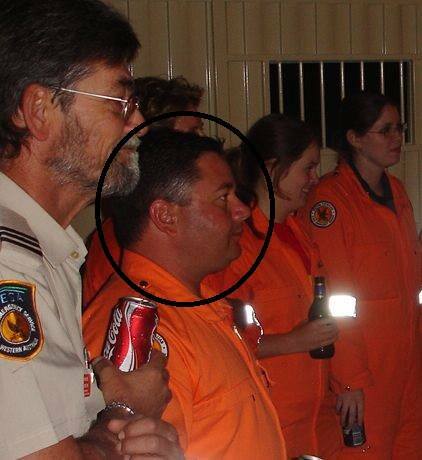 Nick Elliott Local Manager of Northshore SES advises it is with great sadness that we report the passing of a former Northshore SES volunteer, Anthony (Tony) Tickle. Tony (pictured) was a valued member of the Northshore unit until his resignation in March 2008. Tony was a great guy to have around, and during his time as a Northshore member he lived literally a couple of doors away from the unit, and could always be relied upon to be there when needed. Whilst details are few at this time, it is understood that Tony passed peacefully following major surgery. On behalf of the Northshore SES unit and the wider DFES / SES community, we send our heartfelt condolences to Tony's family at this sad time. Further details in relation to funeral arrangements will be published as they are made public. David Price SESVA President and Committee Members offer their condolences to Tony's family and friends.